Hotels and Fascinating Places in Angra dos Reis. Check out all our packages in the region. Come experience Angra’s paradise aboard Magna Aqua! Should you need to rent a boat in Angra dos Reis both for business or leisure, Magna Aqua is always available when you need us. Celebrate love aboard Magna Aqua on Angra dos Reis! Come spend your honeymoon or wedding anniversary with us! No matter the date, Magna Aqua is the place to be. Choose the dates that are important for you and celebrate with us! Frame your best moments in paradise! A world of possibilities to make your dreams come true. Featuring exclusive products and services designed to cater to our most demanding customers, Grupo Viajar has created its own division of nautical tourism – Viajar Luxury Yacht Charter, which operates its own luxury vessel in the region of Angra dos Reis, Rio de Janeiro, Brazil. Angra has been acclaimed by worldwide tourists for the unparalleled beauty of its virgin beaches and natural woods, in contrast with the emerald-green waters that surround over 1,000 islands that turn the place into a paradisiacal scenery. Besides Angra dos Reis, other attractions include the historical town of Paraty, Costa Verde, Ilha Grande, Saco do Mamanguá, and the number-one destination of foreign tourists in South America – Rio de Janeiro – located only 114 km away from Angra. 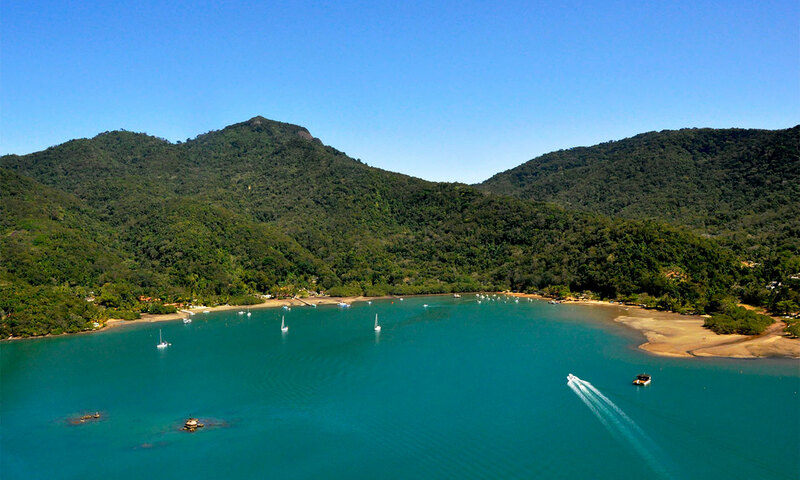 Magna Aqua allows you to combine your trip, accommodation or stay in the region of Angra dos Reis with the convenience, safety, and luxury of our yacht and services so as to meet your most demanding expectations. Roomy central sofa. Stereo and DVD player aboard. The two cabins and stern salon feature digitally controlled air conditioner. Comfortable Individual cabins for full privacy. Magna Aqua is crewed by a licensed and experienced captain, thus assuring you and your family safety. Barbecue grill on the stern platform. Freezer, fridge, and microwave oven aboard. 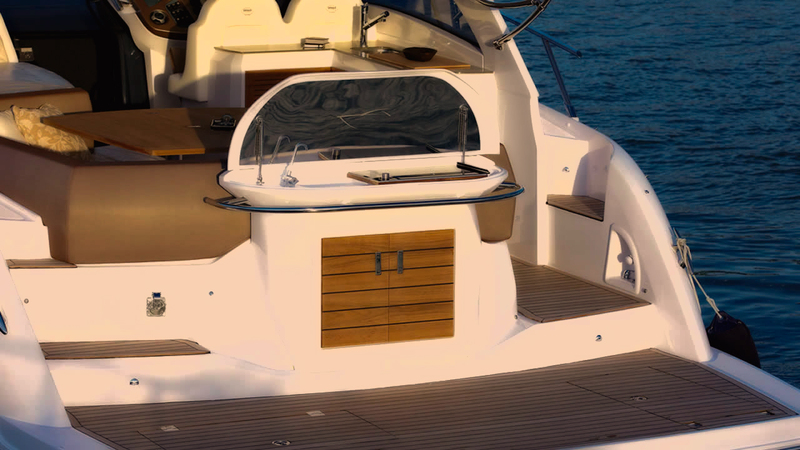 Magna Aqua is a Sessa C36 yacht manufactured in Brazil by one of the most traditional shipyards in the world, Sessa Marine, which was founded in Italy in 1958. Sessa’s products are worldwide renowned for their perfect combination of design, comfort, and technology, designed to satisfy the most demanding customers. The Brazilian version of C36 has been fully re-designed to incorporate changes that best fit the Brazilian taste, such as the bow platform and a better use of the external area. Brazil was the first country outside Italy to house a branch of Sessa industry. Since 2011, the Brazilian branch has been producing and assembling boats. Currently, the industry is producing Key Largo, KL27, and KL28 lines, besides the C36 and C40 Cruiser models. Sessa’s premises are located in Palhoça, a municipality of Florianópolis, in the very south of Brazil. The company occupies an overall area of 9,500m2 with an initial productive area as large as 5,200m2. The project has been idealised to allow the construction of boats measuring up to 50 feet in a modern similar process as that used in the Italian factories. C36 has inherited its design and sculpted lines from C68 top model, and features a brand new re-location of spaces designed for full comfort during navigation. The model has been adapted to suit the Brazilian taste, something that contributed to the vessel’s tropical aspect. In the Brazilian version, the stern platform is larger than the one in the Italian model, thus assuring a better use of the external area. C36 has been planned to comfortably accommodate two couples. 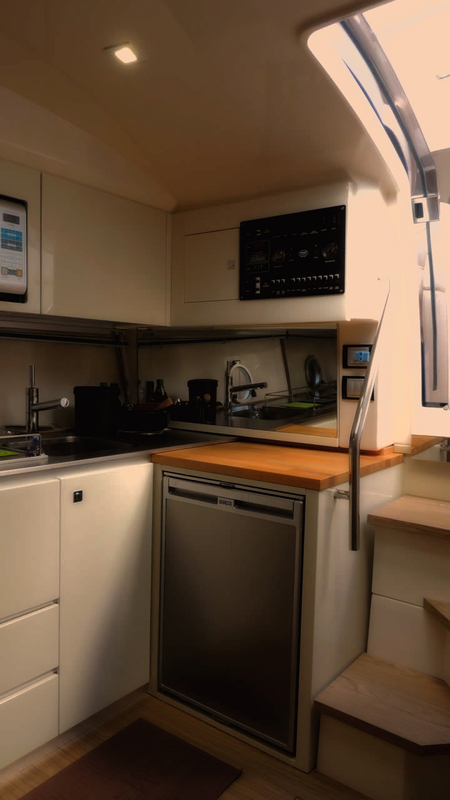 The innovation relies on a second configuration, where two cabins remain roomy and private, with independent accesses to the bathroom and kitchen. Book our yacht and have an unforgettable experience aboard Magna Aqua in Angra dos Reis. The best way to know the Brazilian Atlantic Rainforest in the south coast of the state of Rio de Janeiro in Brazil is by sea. Book a cruise with us and witness all of its flora and fauna, along with more than 1,000 beaches of superb beauty! Angra dos Reis is located in the south of the state of Rio de Janeiro, Brazil, and is currently the home to the most preserved area of the Brazilian Atlantic Rainforest. To have a closer look and explore all of its astonishing nature, book a cruise on our yacht. To get to know the coastal area having the most preserved area of the Brazilian Rainforest, book a cruise with Magna Aqua. Praia do Dentista (Dentista Beach) has become the hot spot of Angra dos Reis with its constant gathering of boats and yachts, especially during the summer and on most holidays. At the end of the afternoon, one can often see a row of boats paired side to side along the coast of the Gipóia Island. If you are looking for fun, music, and excitement no other place in Angra can beat the colourfulness of this beach. Nautical tourism is the term related to nautical activities that can be performed either on big ships, such as cruiser liners, or small boats such as speedboats, schooners, yachts etc. British printer Thomas Cook, the inventor of mass tourism, arranged the first boat cruises back in the XIX century. Known as one of the most beautiful places in Angra dos Reis, Saco do Céu is actually a huge bay on the coast of Ilha Grande.It resembles an immense lake surrounded by mountains cluttered with native vegetation of Brazil’s Atlantic Forest. Those who sail across Saco do Céu’s still waters feel as if they are crossing on a gigantic mirror that reflects the scenery around it. To those willing to spend New Year’s away from home in the region of Angra dos Reis, Magna Aqua Nautical Tourism introduces a wide range of suggestions for you. Call now and ask for more information on accommodation and packages for New Year’s and January summer holidays. You will be amazed by so many beautiful places that are awaiting your visit. Altogether, there are over 360 islands and 1,000 beaches surrounded by the Brazilian Atlantic Rainforest. Acclaimed as one of the most intimate hotels in Angra dos Reis, the Pestana Angra Beach Bungalows is the ideal place for those willing to get away from the typical stress of big cities to find tranquility in a paradisiacal environment surrounded by astonishing nature.